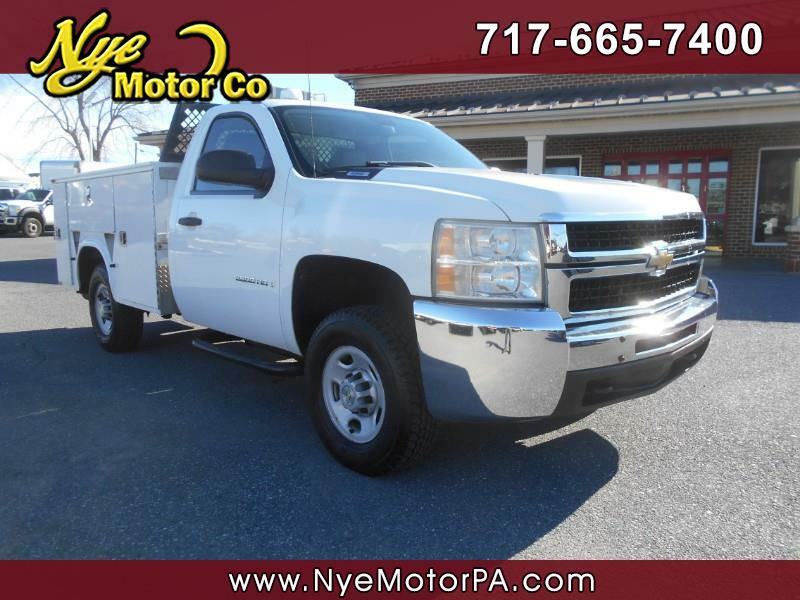 Used 2009 Chevrolet Silverado 2500HD Work Truck Long Box 4WD for Sale in Manheim PA 17545 Nye Motor Co.
****1-OWNER****CLEAN VEHICLE HISTORY REPORT****4-WHEEL DRIVE****KNAPHEIDE UTILITY BOX****TOMMY GATE****READY TO WORK**** Check out this hard to find 2009 Chevrolet Silverado 2500HD with only 109K miles! Outfitted with 4-Wheel Drive, Tommy Gate Power Lift Gate with 1,000 Pound Capacity, Knapheide Utility Box, Whelen Traffic Advisor, Running Boards, Automatic Headlights, Brake Controller, Tow Package, and more! Under the hood sits a powerful 6.0L V8 Engine paired to a smooth shifting automatic transmission. Call today to schedule your test drive.